Things to see and do in Shiroishi, you say?! Yes indeed! There are many beautiful parks scattered around, and this small town is also famous for it’s big strawberries and onions. 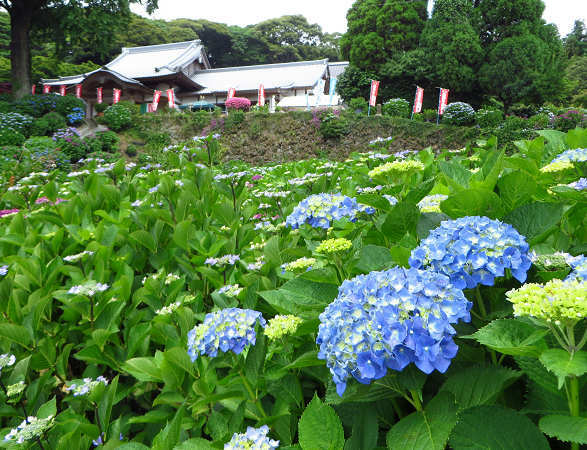 Utagaki Park – large park on a hillside in Shiroishi that overlooks the town. On a clear day you can also see over to Tenzan, Saga City, and the Ariake Sea. The park is famous for its azalea display in late spring/early summer, and also has a lot of sakura (cherry blossom) trees. Nui-no-ike – this pond in Shiroishi is fed by a natural spring where you can collect fresh drinking water all year round for free. Some people say the water is fine to drink as is, while others advise to boil or filter it beforehand. Ariake Sky Park Fureaikyo – a multi-purpose community leisure facility that includes various halls/rooms for rent, a large ground and parkland area, and a pool and gym complex. Inasa Shrine – a shrine established before the beginning of the Heian period, and meant to pray for a good rice harvest. Fukudomi Myland Park – a large park featuring a recreation area, a sports area, and playground facilities based on a children’s book and meant to allow children to feel as though they are playing along with the story. Inaho – along the Nagaski Line (about halfway between Hizen-Kashima and Hizen-Ryuo stations), this restaurant boasts plates of curry weighing over 2kg. Azalea festival – huge display of azalea flowers and concert at Utagaki Park. Summer festival – the Shiroishi annual summer festival is held at Fukudomi MyLand Park each year and features performances from local groups (yosakoi dancing, taiko, singing etc), festival food stalls, and a big fireworks display.